GIMP vs PHOTOSHOP: Which one is the Designers' Choice? GIMP vs PHOTOSHOP: Which one is the Designers’ Choice? Photo-Editing or Graphic Designing is a far-ranging category. Today, almost every image we come across is tailored or edited in some way. And, this is done with the help of designing tools. 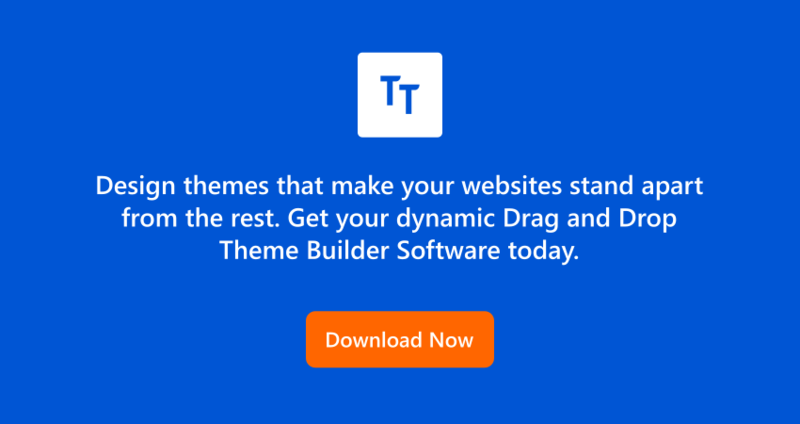 Now, which tool do we actually use at TemplateToaster web design software you ask!! When we talk of designing tools, PHOTOSHOP is the undisputed king. It is the most popular tool out there in the market. But, it is not the only tool, there are a lot of others as well. The best alternative to Photoshop is GIMP, an open-source image manipulation program. We put our designers on a sticky wicket and asked them to compare GIMP VS PHOTOSHOP and tell us which tool out of the two, they prefer and why?? This is how they explained, by comparing GIMP and PHOTOSHOP on different grounds and metrics to settle the ambiguity. Thus, both these offer a similar type of image editing, the only difference being GIMP is a free counterpart of more expensive PHOTOSHOP. When we consider downloading some software, we always check how much will it eat upon our resources!! Thus, the size of the software always plays a vital role. GIMP requires Intel Pentium IV or faster processor while PHOTOSHOP requires Intel® Core 2 or AMD Athlon® 64 processor; 2 GHz or faster processor for Windows and Multicore Intel processor with 64-bit support for Mac. Apart from this, minimum recommended RAM for GIMP is only 256MB. While Photoshop CC requires 2 GB (minimum) of RAM. Again, GIMP is available for GNU/Linux, Mac, Windows, Unix and more operating systems. Whereas, PHOTOSHOP is available for Windows and Mac only. Other than this GIMP is portable. You can run it from an external USB device with ease. While PHOTOSHOP does not offer any such functionality, it eats your hard-disk space only. Flexibility plays a very crucial role to help you making the worthy decision in picking the right tool. GIMP and PHOTOSHOP both are very extensible tools. 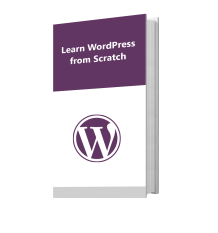 They offer a number of features (both basic and advance) to make your editing smooth. With GIMP you can read and edit PHOTOSHOP’s .psd files. But PHOTOSHOP does not support GIMP’s native file format i.e. .xcf files. While PHOTOSHOP CC comes preloaded with a lot of professional features, you can add most of those to GIMP as well. These features could easily be added with the help of different plugins. 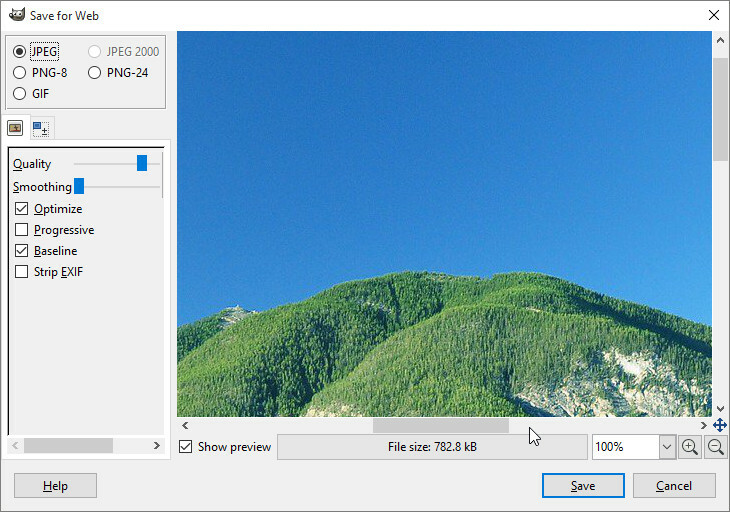 FX-Foundry is a huge mega-pack of more than 100 separate image processing scripts. 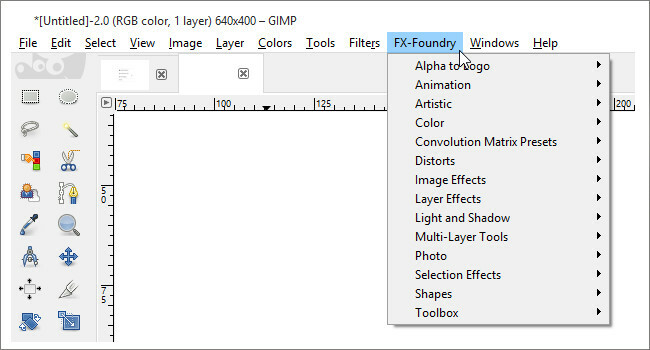 You can download FX Foundry and copy it to /users/abc/.gimp-2.8/scripts. When you download and install FX Foundry it will appear in the main menu. It offers you a number of advanced features like image effects, selection effects, animation, shapes etc to help you tailor your image according to your wish. Resynthesizer is another very useful plugin that allows you to select anything you want to remove or erase from the image. It offers you the functionality to remove any unwanted thing from your image without a trace. It offers you the same functionality as the ‘content aware fill’ feature of PHOTOSHOP offers. You just have to download Resynthesizer and copy it to /users/abc/.gimp-2.8/plugins. Restart GIMP and changes will be updated. You can now, use the plug-in you attached by going to Filter>Enhance and choosing the desired functionality like heal selection, heal transparency, red-eye removal, uncrop etc. Save for web is a very easy to use and handy plugin. It is very useful especially in sizing and selecting the file format while saving. You can download Save for web and copy it to /users/abc/.gimp-2.8/plugins. After installing, you can use it by going to File Menu>Save for web and select the desired settings like quality, smoothing, optimise etc. Layer Effects is a kind of plugin you can’t live without especially when you are an expert designer. It’s a very handy tool and offers different layer effects to work with GIMP. All you need to do is download Layer Effects and copy them to /users/abc/.gimp-2.8/plugins. Restart GIMP and go to Layer>Layer Effects, here you will find a number of layer effects you want to use like bevel and emboss, colour overlay, drop shadow etc. GIMP Photo Studio is a pack of designing components like brushes, palettes, patterns, gradients, tool preset etc. You can download GIMP Photo Studio and copy to /users/abc/.gimp-2.8 folder and paste them in the respective folder i.e. If you are copying brushes paste them in the brushes folder, gradients to the gradient folder and so on in /users/abc/.gimp-2.8 folder. One other thing is that Photoshop supports 16 and 32-bit images while GIMP only supports 8 bit only. This functionality could be extended with the help of GEGL (Generic Graphics Library). It helps GIMP to support image depth of 16 bit at most. However, in the forthcoming update of GIMP, they have announced many more features and also support for higher bit depth. GIMP and PHOTOSHOP are very easy to use tools. They offer a very friendly interface. 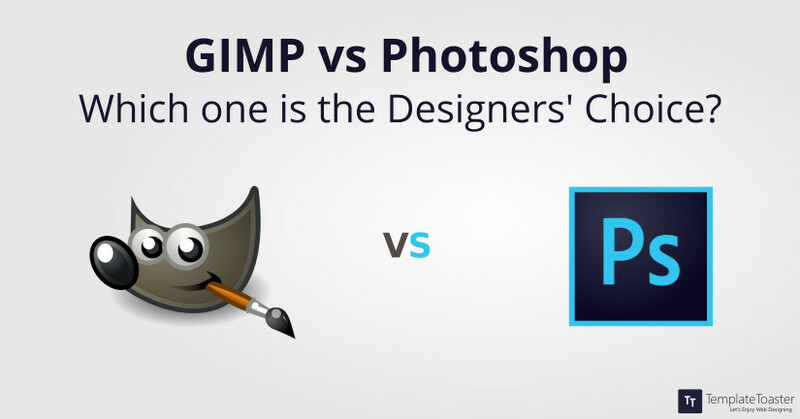 Comparing GIMP VS PHOTOSHOP, it is the latter that offers simpler and more friendly interface. Whereas, GIMP’s interface is highly customizable i.e. the interface could be customised/re-assembled according to the needs and likelihood of its user. 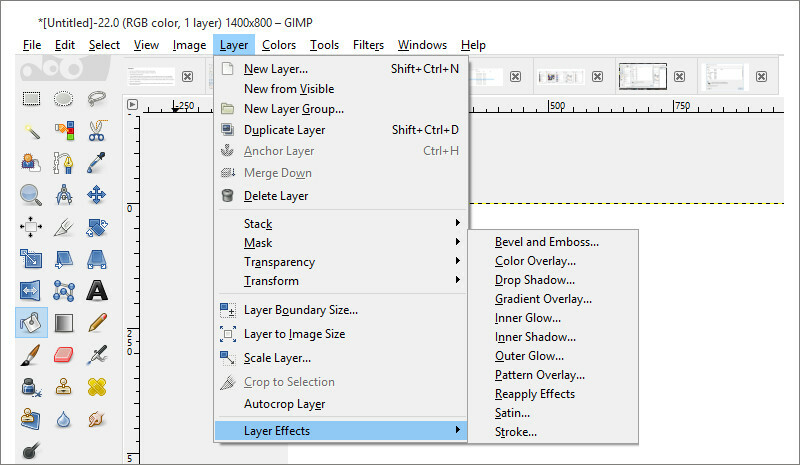 Now, if you are PHOTOSHOP fan, you can customise GIMP’s interface to look similar to it. You can also change the keyboard shortcuts of GIMP to be same as PHOTOSHOP, all you need to do is download keyboard shortcut’s file and copy it to the profile folder (.gimp-2.8). In the profile folder (.gimp-2.8) rename menurc to something else like backup menurc. Now, rename your downloaded folder (ps-menurc) to ‘menurc’ and refresh GIMP for the changes to take place. 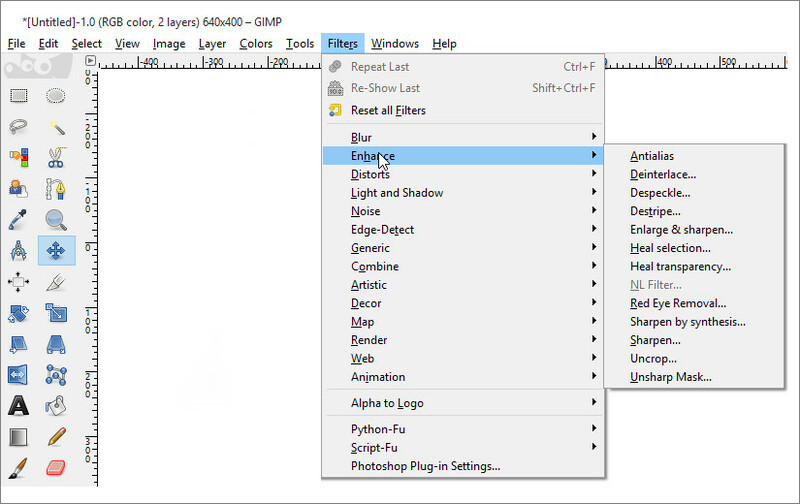 GIMP shortcuts will now be same as PHOTOSHOP. 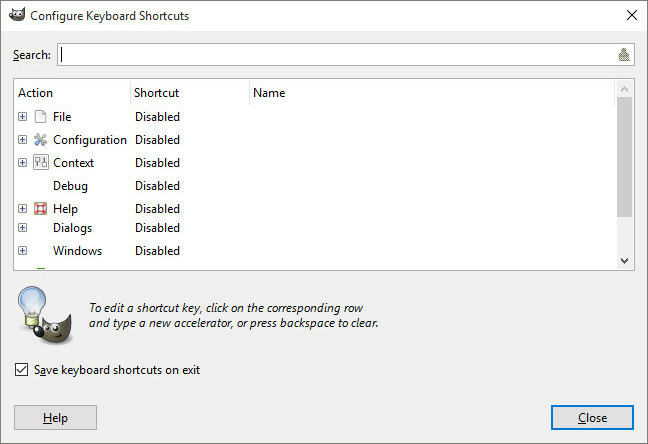 There still might be some shortcuts that will not be functioning in such a case you can change them by going to EDIT>KEYBOARD-SHORTCUTS and set them accordingly. The new Photoshop CC offers a lot more new functionality that makes the program much faster, easier and efficient. There are new video tools, RAW 7 and others. However, when it comes to pricing ‘it costs you an arm and a leg’ i.e. prices for PHOTOSHOP are very high. Occasional designers might not consider it worthy to pay such a large sum of money when they can get similar features for free. Photoshop also supports some third-party plugins/add-ons. A few of these add-ons are free while the others are paid. These add-ons/plugins could also be downloaded from the Adobe Creative Cloud itself. GIMP, on the other hand, is an open-source program and is available free to install and use. And, unlike other open source software, finding plugins for the GIMP is very easy. There are a variety of plugins in the GIMP plugin registry. These plugins add a number of features from the more basic ones like new filters, brushes, save and export options to the high-end features like healing, cloning etc. Now, after the head-on comparison for GIMP VS PHOTOSHOP, it was the time to pick a winner, What do you think, which tool our Designers might have chosen??? Yes, you are right it’s GIMP, they recommended GIMP over PHOTOSHOP. While PHOTOSHOP offers a plethora of extensive features, with GIMP you are getting most of those features for FREE i.e. you need not spend a penny and you will be getting almost all the professional features of PHOTOSHOP.